Edit design Football scarf World cup , or create your design from scratch. 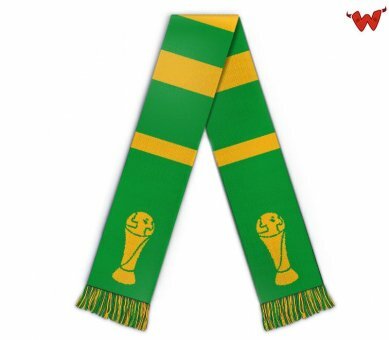 Design your custom world cup knit scarf. The one fan merch item you need worldwide. With your custom text, clipart or image knitted in. Get ready for the world cup 2018 and design the team scarf in the colors of your country.